So, after starting your own business and diligently taking it online, you sat back with anticipation waiting for your site to welcome tons of visitors. Subsequently, it seems as though the waiting game hasn’t dealt you the hand you’d hoped for – your numbers have yet to budge. How do I gain an audience and keep their attention? You wonder. Well, you’ve come to the right place! From driving users to your site through social media, to keeping them on the right path once they’ve made it to your homepage, we have the tips to help you build traffic, and keep your visitors coming back for more. Alright, I’m enticed! Where do I begin? Twitter – A great way to attract followers on Twitter is through retweet (RT) contests. Once you have created an account for your company, post tweets similar to the effect of, “Contest time! One lucky winner will receive a free (insert product here)! RT for a chance to win!” Try hosting RT contests on a weekly basis – before you know it, your account will start attracting followers, and drive traffic to your website. 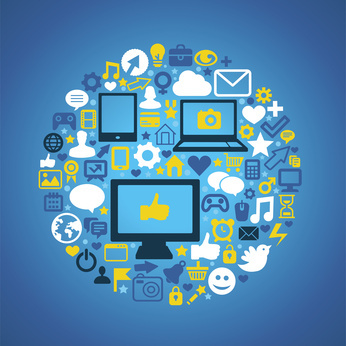 Facebook –Using Facebook to advertise promotions is a great way to gain likes and shares. Try writing posts that let users know your company is having a 30% off sale, or other interesting and relevant posts that users will want to share with their friends. Even if you can’t afford to offer sales, Facebook is a great way to showcase your expertise to an audience. Tumblr – Having a blog that is consistently up-to-date with witty posts and intriguing how-tos is a great way to gain a following. Also adding fresh content to your website often with help your search engine rankingsyou’re your keywords – another one of the many ways online searchers can find you. Sign up with Tumblr and easily integrate your blog with your website – thus driving users to both you blog and your website in one go. Traffic – check! Now how do I hold their attention? An easy-to-understand homepage – The most effective way to hold the attention of your visitors is through a well thought out homepage. This is the page where your site’s traffic is most apt to land, and therefore, most apt to be scrutinized. Studies show that if your homepage does not grab your visitors attention within the first 10 seconds of their entrance, they’ll be exiting your page and never to return. 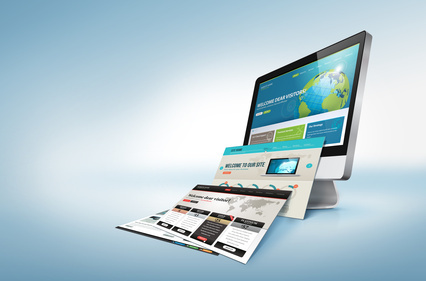 When creating your homepage, think of it as a teaser, but not one that’s too confusing. You want to deliver on the promise of whatever tweet, post or email sent them there. Give them a clear synopsis of your company and intrigue them to learn more. Easy to follow navigation – Imagine this: you take the time to build a huge social media following, the perfect homepage and as soon as your users go to click through the rest of your site, your navigation leads them astray, and they get lost in the inner workings of your site. Functional, easy-to-follow navigation is key to creating a successful purchase flow. Use concise, to-the-point words, making it impossible for your users to be lead astray. Strategically placed content – when it comes to your site, content is key. When creating your website content, keep in mind walls of text can be monotonous. Try breaking up your site’s copy with useful, relevant images to keep your visitor’s attention. If your image doesn’t directly pertain to your copy, you may want to reconsider using it. In addition, when it comes to copywriting, less is more. Wordy, over-the-top statements will not impress your audience as much as you may think. Try to keep your writing conversational, creating a connection with each visitor. Pro tip: Update your site frequently with fresh content to keep your visitors on their toes, and your site a boost in the search engine rankings. As nice as it would be to create a website and instantly have mass amounts of traffic, as you can see it takes more strategy than that. We hope these tips give you the kick-start you need to take your site’s traffic to the next level, and improve your customer engagement. Let us know in the comment about your social media secrets to success.